Benchmark Indices continued to rise in the after-noon trade led by IT stocks on hopes U.S. President-elect Donald Trump may not proceed with stringent visa rules. Gains were capped by pharma stocks after Trump said pharmaceutical companies are "getting away with murder" in what they charge the government for medicines, and promised that would change in his first presser. In a choppy trade, Nifty continued to hover around it’s 8,400 mark which it hit earlier in the day led by gains in NTPC, PowerGrid, Tata Power and L&T while Sensex continued to stay 100 points higher. At 1:20 pm, the Sensex was trading at 27,257, up 117 points, while the broader Nifty50 was ruling at 8,409, up 29 points. 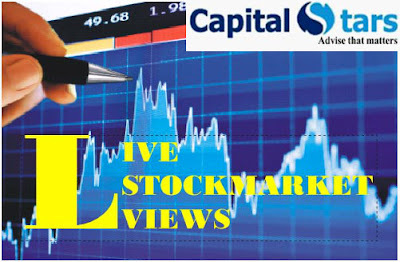 The broader market underperformed the headline indices with BSE Midcap gaining 0.09% and BSE Smallcap losing 0.01%. The overall market breadth remained negative, about 1132 shares have advanced, 1423 shares declined, and 152 shares are unchanged. NTPC, Power Grid, L&T, Infosys and ONGC are top gainers while Dr Reddy’s, Coal India, Lupin, and Sun Pharma are top laggards in the Sensex. IT Index rose over 1% on BSE with Infosys gaining more than 2% in today’s trade ahead of it’s Q3 earnings tomorrow..
Nifty Pharma index fell as much as 2.24 pct, contributing to more than half the losses on the NSE index after Trump’s presser. Top losers include Cadila Healthcare, down 2.9%, Sun Pharma down, 2.96%, and Aurobindo Pharma down 3.76%. Biocon shares rallied 5% to Rs 1052 after the biotech firm and pharma firm Mylan said that the US health regulator has accepted Mylan's biologics license application (BLA) for MYL- 1401O, a proposed biosimilar trastuzumab indicated for treatment of breast cancer. The market continues to rally on support of banks, infra, FMCG and pharma stocks. The Sensex is up 219.96 points or 0.8 percent at 26586.11, and the Nifty up 65.10 points or 0.8 percent at 8168.70. About 1483 shares have advanced, 358 shares declined, and 79 shares are unchanged. ICICI Bank, Axis Bank, BHEL, ITC and SBI are top gainers while Bharti, Coal India and Dr Reddy's Labs are losers in the Sensex. Ridham Desai of Morgan Stanley believes key drivers for the market mood in Q1FY17 remain incoming growth data, global cues especially on US tightening, President-elect Trump's fiscal plans, commodity prices and the forthcoming Budget on February 1. He expects the U-shaped earnings recovery to be delayed by a quarter or two and estimates an earnings growth of 2 percent Y-o-Y for FY17 and 18 percent for FY18. The market has ended in green after a lot of volatility due to December Future & Options (F&O) expiry today. The Nifty was up 68.75 points or 0.9 percent at 8103.60 and the Sensex climbed 155.47 points or 0.6 percent at 26366.15. About 1651 shares have advanced, 929 shares declined, and 171 shares are unchanged. Auto, metals and IT stocks lend support. MAruti, HDFC, Tata Motors, TCS and Bahrti were gainers while Adani Ports, Infosys, Sun Pharma, L&T and BHEL were losers in the Sensex. According to Nirmal Bang Institutional Equities, there is a possibility of market going to level of 7500 in next 1-2 months. While there is a lot of noise regarding upcoming elections and cash crunch impacting market, the main mover of market remains earning, Rahul Arora, CEO of Nirmal Bang. Market earnings have grown at a 5 percent compounded annual growth in last six years. At the current stage, pharmaceutical, IT and metal are the sectors to concentrate on in first quarter of 2017, Arora said. Any domestically driven sector should be avoided.